This large and formidable pit viper packs a venomous bite and a nasty disposition to boot. 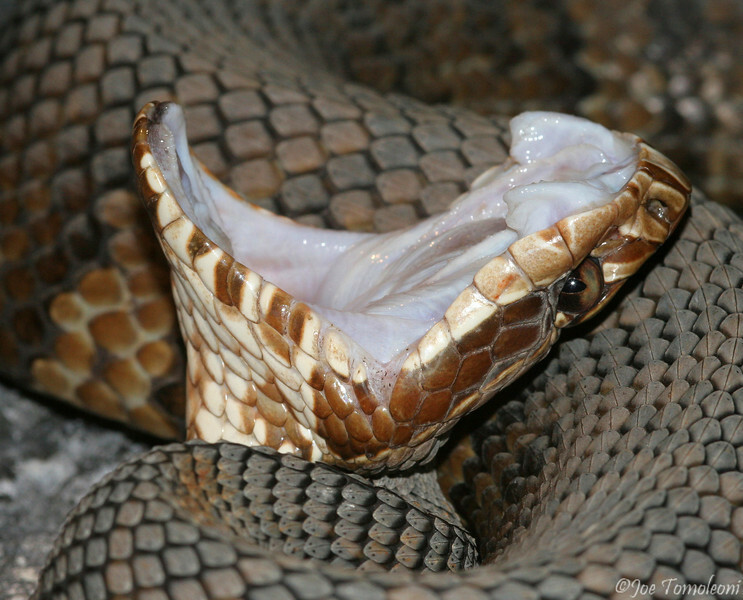 Here, this snake is nicely demonstrating why it is referred to as a "Cottonmouth." This snake flashes it's bright white mouth lining as a warning, much the same way that a rattlesnake uses it's rattle. Both warnings say "don't tread on me."